Cape Clear, or often just 'Cape', is the common name for Clear Island, though for the particular-minded the actual cape is the bold promontory at the southwestern end. 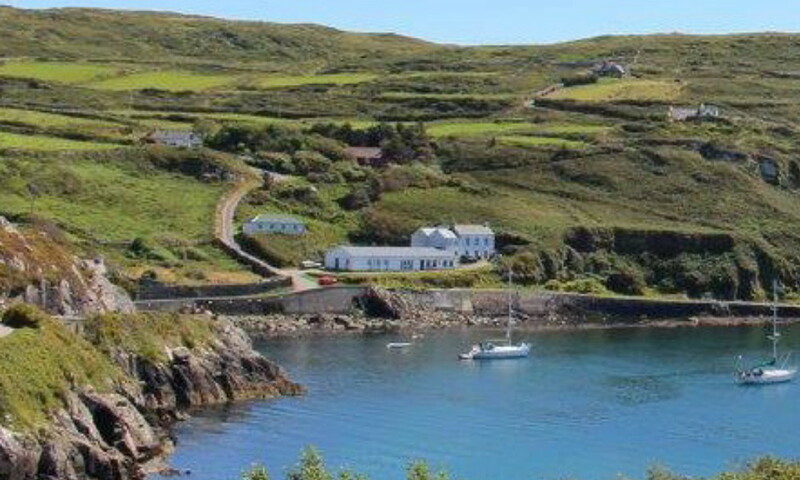 Anyone with the slightest sense of adventure will enjoy a trip to this Gaeltacht (Irish-speaking) island of Oilean Chléire which is the most southerly inhabited land in Ireland. The trip from Baltimore takes only 40 minutes and you get a splendid view of the rugged coastline — and if you're lucky some whales or dolphins — along the way. You are greeted by steep hillsides covered with heather, gorse and wild flowers, sparkling harbours and spectacular cliffs before the ferry slides into the narrow entrance of Trá Chiaráin, or North Harbour. The 170 or so 'Capers' have always depended upon the sea and the elements for their living, but have managed to maintain the difficult balance between adopting the better aspects of modern living and retaining cultural and traditional values. The island has a restaurant, shop and pubs. There is a long-established bird observatory and Cape Clear is well-known to birdwatchers. St Kieran's Church, dating from around the 12th century, is near the harbour and there are a number of prehistoric sites around the island. 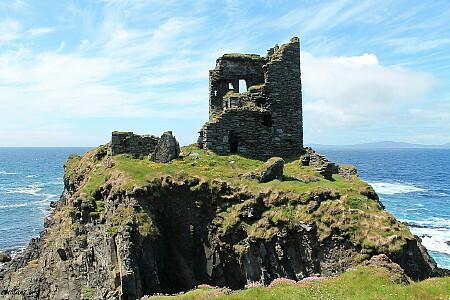 On the northwestern flank stands the ruined O'Driscoll castle of Dún an Óir (fort of gold). It's a steep climb from the harbour up to the old lighthouse and signal station, but the view from the top is breathtaking.